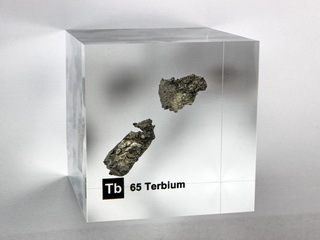 Terbium was discovered in 1843 by C.G. 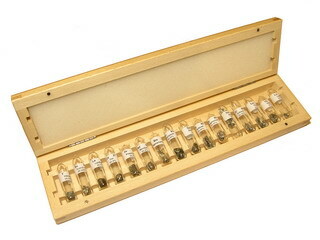 Mosander in Stockholm and was named after the Swedish town of Ytterby. 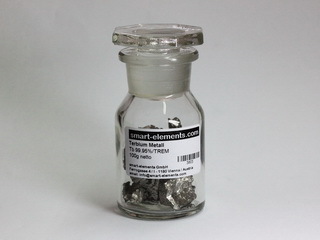 A lanthanide group metal, it is soft, malleable and ductile. 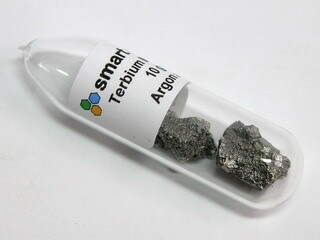 Terbium has an abundance of 1.1 ppm in the earth's crust and is found in minerals in combination with other lanthanide group elements. 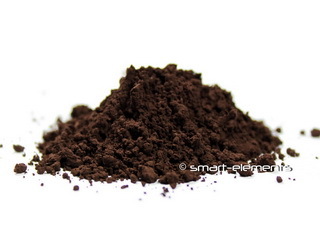 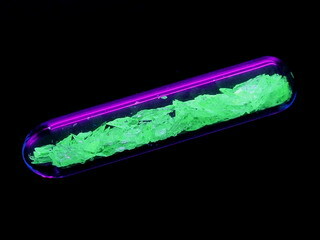 It is slowly oxidized in air, the rate of the reaction being increased if terbium powder is used. 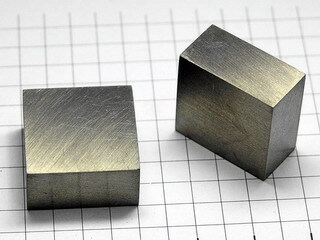 Terbium reacts slowly with cold water. 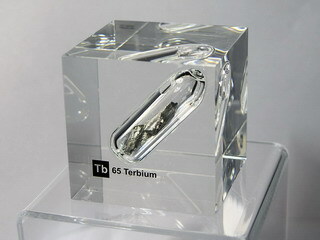 Terbium is used in the semiconductor industry as a dopant. 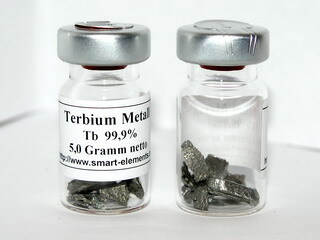 Terbium 3+ doped glass bead NEW! 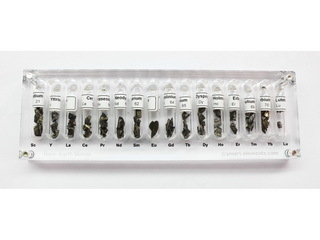 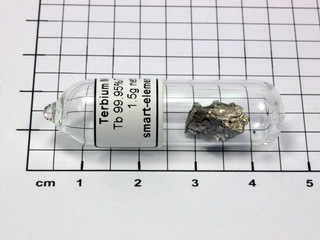 100g Terbium metal pieces 99,95% under argon!